For more than 40 years, GemTech®, an ISO 9001:2015 certified company, has provided custom plastic injection molding and design and development expertise for the plastic injection molding and mold-making industry with a steady focus on economical problem solving. Whether the need is idea development, concept enhancement or finished products, GemTech® offers a resourceful, knowledgeable approach to injection molding and mold-making that ensures quality results. Key value-added services such as pad printing and ultrasonic welding make GemTech’s start-to-finish service especially cost-effective. In super-critical fields such as avionics and pharmaceuticals, GemTech® excels in complex mold making, tooling and plastic injection-molded manufacturing. GemTech® is unequalled in commodity- and engineering-resin expertise—and when the material is right the first time, on-time delivery and peak performance is assured. 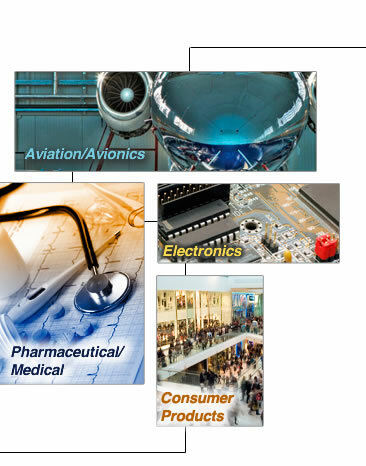 GemTech® serves a wide range of industries, including aerospace/aviation, pharmaceutical/medical, transportation, electronics and consumer products. Headquartered in Olathe, Kansas, GemTech® enjoys a central-U.S. location that supports the ability to provide exceptional customer service. Contact GemTech® today for more information or a quote on your next plastic injection molding or mold making project. All we need is your idea. You can leave the design and engineering to us.